We don't stand in line.. foreign shoes hurt your feet! So, it’s errands day and you just wanna throw on your fav joggers and slides. Skrrrrtt! How about putting on a cute and comfy fit since you’ll be out and about all day? Whenever I’m going to be in the field, I loovveee to throw on a dress. They’re just so breezy and can be easily dressed up or down. 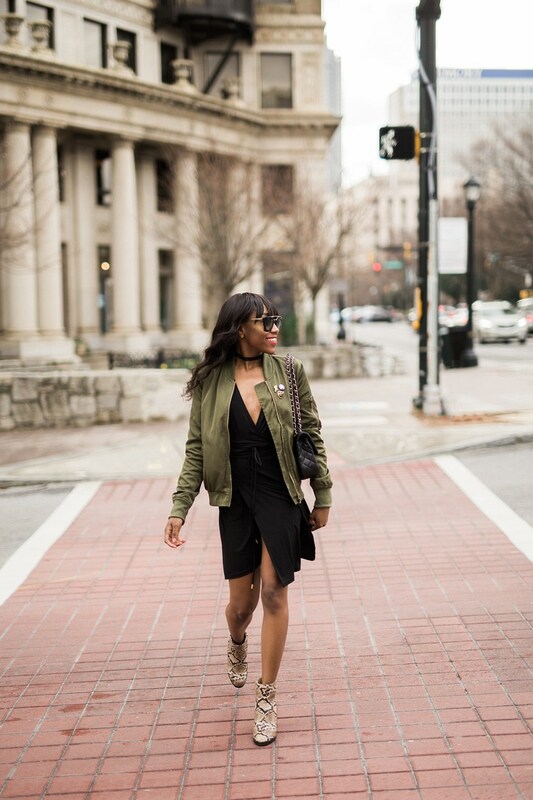 For this look, I decided to pair a black dress with my fav booties and bomber jacket. Snake skin and olive green? Get into this color palette, honey! 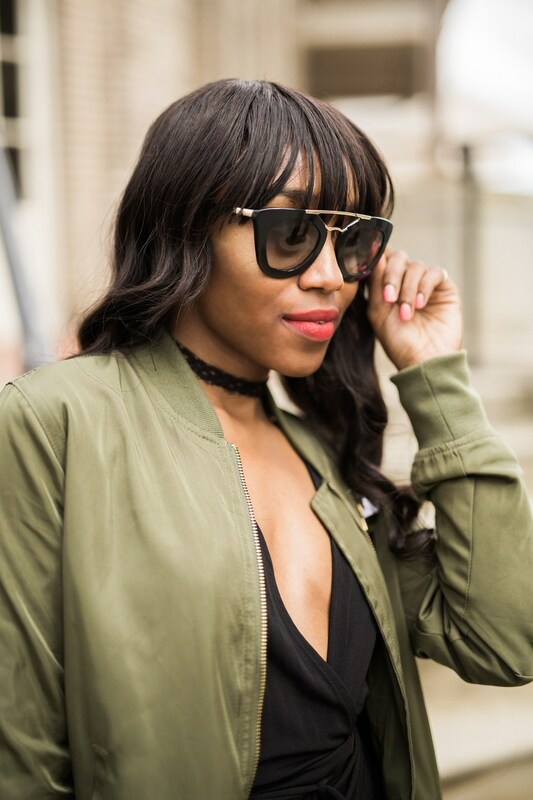 My last additions were my go-to Chanel bag and Prada sunnies. 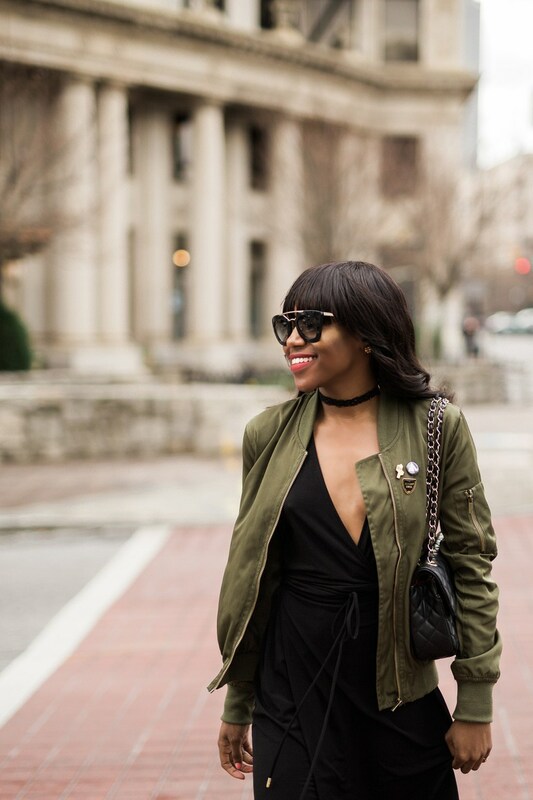 Tip: Looking for ways to dress up a simple bomber? Add your fav pins or patches! So simple but details can make an outfit.